Brockaflowersaurus-Rex & The Blueberry Biscuits, or known by their fans as Brockaflower, are a monster nine piece contemporary Neo-Soul, Experimental, Hip- Hop collective that traverses through soundscapes, hard hitting hip-hop grooves and soulful vocals. Inspired by the beats of J Dilla, the funk of Sly and the Family Stone, the soul of D’angelo and hip hop of The Roots the Wellington based band was formed in 2009 by members Pat Stewart – MPC / Synth operator and bassist, guitarist Ashton Sellars and drummer Thomas Friggens. Steamy jam sessions culminated in the additions of a three piece horn section, Lorenzo Pradel – Alto Sax / MC, Blair Clarke – Tenor Sax / Flute and Gareth Thompson-Darling –Trombone, and a killer line up of emerging soul vocalists, Estere Dalton, Zoe Moon Mahal and Louis Baker. Regularly playing to heaving sell out audiences in Wellington, Brockaflower sold out 2 tours to Auckland in 2012, played a New Years slot at La De Da and had the largest ever turnout of over 3000 strong at Wellingtons Botanic Gardens in 2013. Featured in the ‘Who’s Next’ section in ‘Rip It Up’ magazine following an underground release of their self-titled live EP released in May 2012 the band were tipped as ones to watch. 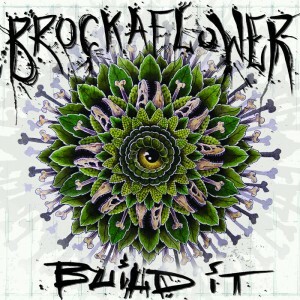 Brockaflower released their 11 track debut studio album ‘Build It’ in 2013 followed by a tour around New Zealand including playing Rippon and Splore festivals. “The album will capture the high energy of the party that happens live on stage at every performance” says Friggens, prior to release. 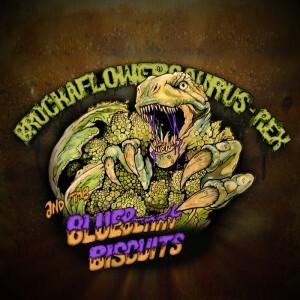 On the surface, a band named Brockaflowersaurus-Rex & The Blueberry Biscuits sounds like it would be a very silly band; perhaps even a novelty act. However, when witnessed performing live on stage, regularly to full houses, this Wellington-based, nine piece contemporary soul collective’s name aptly expresses the scale of their ambitions. Early in June, I met up with eight of the band members in central Wellington. A mixed bunch, sporting dreadlocks, afros and beards aplenty, it’s hard to not compare them to Fat Freddy’s Drop, especially in light of a band conﬁguration which includes a horn section, an MPC drum machine and several richly voiced singers of both the male and female persuasions. That’s probably an unfair, somewhat reductionist reference point though. Thinking back to their beginnings as a three-piece, drummer Thomas Friggins reflects. “It started in a flat that used to be a halfway house, and still kind of was,” he laughs. “We’d practice in a big cold basement with a really horrible PA, an awesome stage and bottles all over the floor, left from parties years gone by.” At that stage just jamming with MPC/synth operator and bassist Pat Stewart and guitarist Ashton Sellars, as time went on, they expanded their ranks. Drawing from their social circle and stints at Jazz school, they brought in a horn section (Lorenzo Pradel, Blair Clarke and Gareth Thompson-Darling). Alongside this came a trinity of soul vocalists, Estere Dalton, Zoe Moon Mahal and Louis Baker. Dividing themselves into departments (horns, vocals, rhythm section), they initially created their music from sprawling jam sessions driven by the phrase, “Let it build”. Slowly paring the songs down to their core essentials, between performances to packed houses around Wellington and a three-song live EP, they’ve built themselves a solid local following. By the time you read this, Brockaflower will have made their Auckland debut and spent two weeks in Wellington’s Blue Barn Studios, recording a new EP. 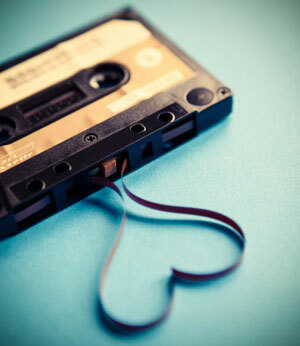 Thomas chuckles, “We’d like to make some stuff that is a bit more radio friendly. Maybe.” From there, there is talk of a move to Germany and plans to hit the summer festival circuit. Regardless, with nine people on stage, it’s always going to be fun. “Even without a crowd we always have a party,” says Louis. Profile courtesy of Amplifier. ‘Who’s Next’ from Rip It Up, No. 348 Aug.-Sept. 2012. Used with permission.